At the core of the present day Great Falls Tavern is a stone lockhouse originally built to provide shelter for a lock keeper and his family. Today, the Tavern is used as a Visitors Center for the C&O Canal National Historical Park. 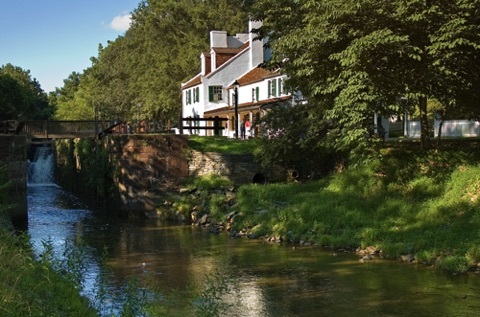 The Friends of Historic Great Falls Tavern completed a refurbishment of the Tavern in 2000 and continues to provide stewardship in clean-up, maintenance and improvement of the structure. Current needs include a picket fence (that is removable during floods) and repairs to shutters, doors, and roof. Even prior to the Canal, the Great Falls were a popular attraction. Built by the C&O Canal Company between 1828 and 1829, the original lockhouse building stands aside Lock 20. After the completion of the lockhouse, many visitors stopped at the building to inquire after food and lodging. 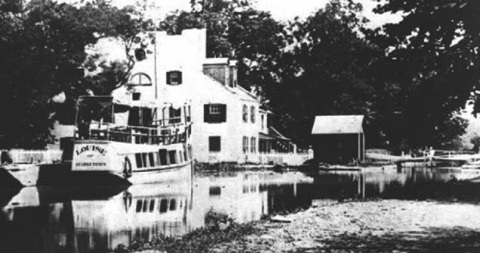 Responding to the demand, the first lock tender, W.W. Fenton, successfully petitioned the Canal Company to operate an inn near the Falls. Mr. Fenton, an industrious man, also operated a packet boat, the “Charles Fenton Mercer”, ferrying passengers between Georgetown and the Great Falls. The inn provided ready refreshments for these visitors. Sensing the need for overnight accommodations, Mr. Fenton volunteered that “Mrs. Fenton is better calculated for Land Ladie”. The Canal Company accepted his suggestion. In 1830 a two-story brick addition with its distinctive façade was constructed on the northern end of the lockhouse. The entrance led to a large public room where travelers and locals dined and socialized. Visitors, including packet boat travelers, stayed in the rooms on the upper floor. In 1831 a southern wing was added to provide quarters for the innkeeper. The roof of the tiny lockhouse was raised to conform to the proportion of the larger additions. The Canal Company officially named the hotel “Crommelin House” in honor of a Dutch family who invested in the Canal's construction. 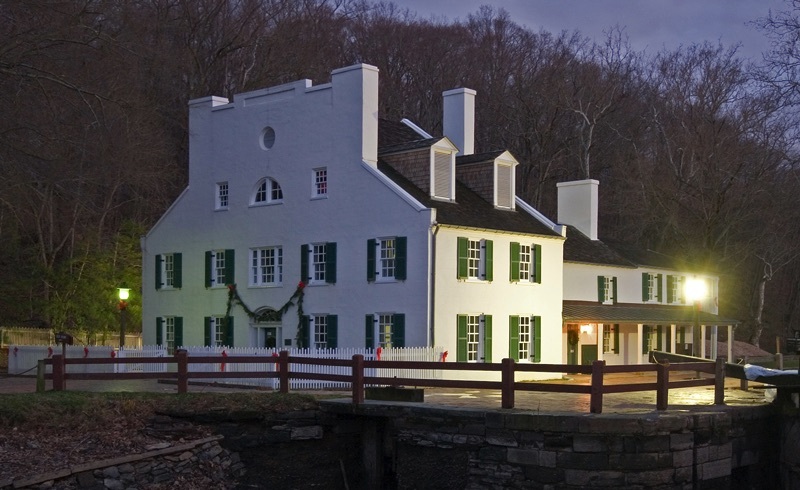 Over the years, however, the inn became more generally known as “The Great Falls Tavern”. It was the only hotel built by the Canal Company. In 1853, visitors to the Great Falls saw the area around the Tavern bustling with workers building a dam, pump house, and conduits to supply drinking water to Washington, DC. During the Civil War, a Union soldier discovered gold in the hills above the Tavern. Shortly after the conflict ended in 1865, he returned to establish mining operations, including the Maryland Mine. The 1870s were the golden age for the Canal and the Tavern. Between March and December, as many as 700 barges continuously made the five-day journey from Cumberland to Georgetown. Each boat sat by the Tavern for about 10 minutes while being locked through. Other boats and their crews often idled, waiting for their turn. The rise of the railroads, and destructive floods, especially in 1889, combined to bring about the gradual demise of the C&O Canal. The Canal ceased commercial operations in 1924, less than 100 years after its energetic beginning. In the following years the Tavern was leased as a restaurant, a club, and even stood vacant. In 1938 the Tavern became the property of the U.S. Government and was restored between 1948 and 1952. For a number of years it was used by The National Park Service to display nature exhibits. 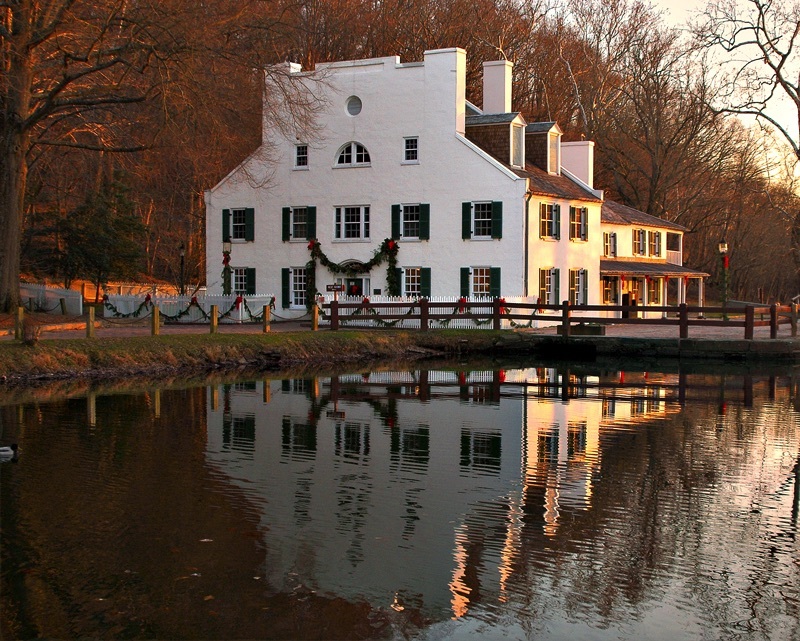 In 1971 an act of Congress established the C&O Canal National Historic Park. 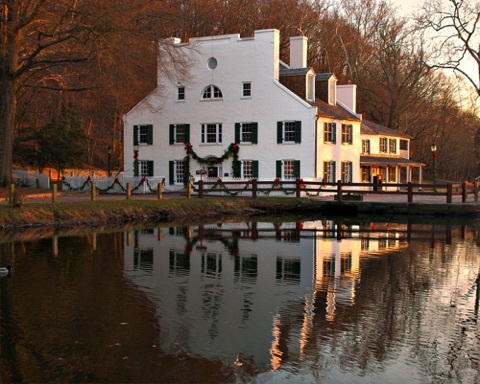 Today the Historic Great Falls Tavern operates as a museum and visitors center. Photo © James W. Moore. Used by permission. All content, except as otherwise marked, is © 2015-2018, Friends of the Historic Great Falls Tavern. You can help us get the word out by liking our Facebook page.